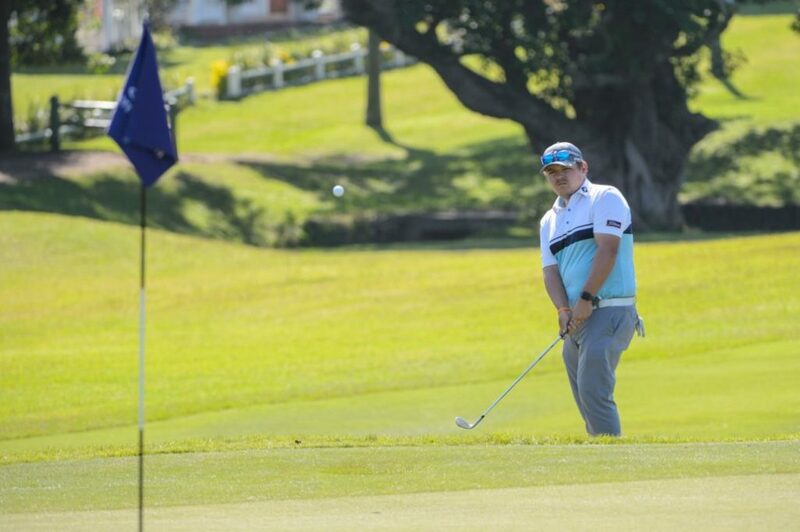 Qualifying School graduate Louis Albertse took advantage of his knowledge of The Woods layout at Mount Edgecombe and played himself into a four-way tie for the lead as he signed for an impressive five-under-par 65 in the opening round of the Sibaya Challenge on Wednesday. Starting from the 1st tee, Albertse’s front nine was characterised by three birdies – on the par-five 3rd and 5th holes, and another on the 6th – and not a single bogey as he turned in 32. The same number of birdies made it on to his card on the homeward stretch, only to be spoilt by the dropped shot on the 16th. ‘I have played this golf course before as an amateur,’ he said. Also shooting a 65 in round one was veteran Jean Hugo, Jake Redman whose game seems to be improving weekly and CJ du Plessis. Hugo’s round was the most eventful. Starting from the 10th tee, he went birdie, birdie and bogey in his opening three holes. Two pars later, however, he made further gains, picking up an important birdie on the par-three 15th. A par on the next hole was quickly followed by two more birdies to turn in 31. Birdies on his 10th, 14th and 17th holes were accompanied by bogeys on his 11th and 13th but he will not be too dissatisfied with such a start to a tournament. Redman and Du Plessis also made six birdies each and both had a bogey each on their card at the end of the round. A single shot back of the leaders, Jake Roos, the much-travelled Hennie Otto and the English duo of Luke Joy and Todd Clements share the fifth spot after day one in Durban. Early pace-setter Ryan Cairns’ three-under-par 67 put him in a share of ninth position with Rhys West, Trevor Fisher Jnr, Breyten Meyer, Peter Karmis, Merrick Bremner, Ockie Strydom, Vaughn Groenewald and Q-School winner Thriston Lawrence.